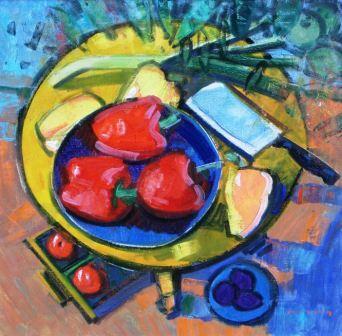 Right now we are waiting for new Mike HEALEY Art to arrive at the gallery. In the meantime, here is a selection of the artist's archived art work which has featured at Red Rag Art Gallery. If you wish to register to receive updates and alerts when new art work from Mike HEALEY arrives select this link. Mike Healey was born in Brazil in 1951. He studied under John Cunningham at Glasgow School of Art, winning the Haldane Travelling Scholarship and the Leverhulme Travelling Scholarship. 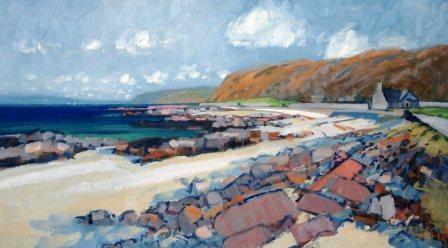 A popular colorist painter of rich still lives, Scottish landscapes, snow scenes and seascapes. 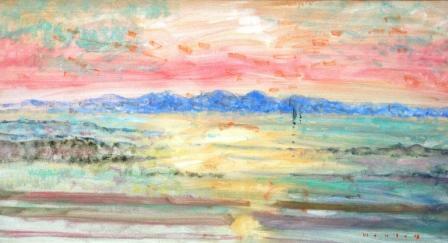 Mike paints spontaneous 'plein-air' scenes in the Highlands and the Islands. 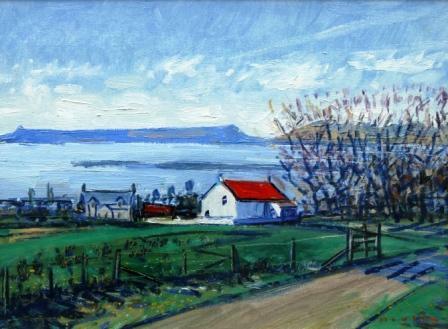 He is a true painter of the Scottish School and has exhibited extensively throughout his career, in his native Scotland and in London, New York, Philadelphia, Maryland, Bermuda and Japan. Mike Healey paintings may be found in several public, corporate and private collections worldwide, including Glasgow School of Art, the European Parliament, the Royal Mail, Woburn Abbey, Argyll and Bute Museum and Libraries, the Scottish Education Department, The Collection, Bermuda, under the patronship of HRH the Prince of Wales. Harvard Business School with the Bank of Scotland, Coutts Bank and Royal Bank of Scotland have all purchased several paintings for their permanent collections. 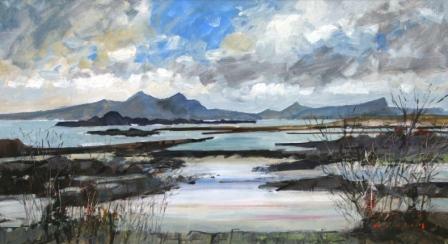 In addition to Red Rag Art Gallery Mike Healey has exhibited at other leading Scottish Art Galleries. 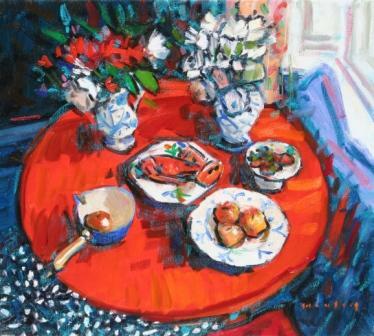 Each painting at Red Rag is sourced from the Mike Healey artist studio and like all Red Rag Scottish art and Modern art it can be shipped worldwide.